Join our evening walking tour to witness Udaipur’s ancient glory rooting from the Rajput dynasties. 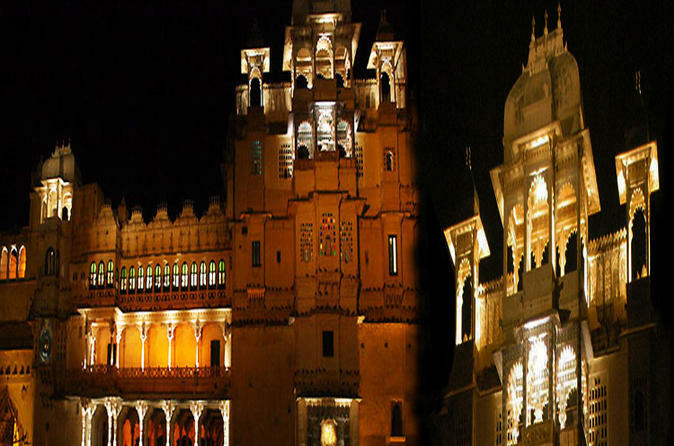 Get insight from your professional guide about the heroic history of this magnificent city starting from the City Palace, encompassing the famous Jagdish Temple and Bhagore Ki Haveli Museum. Also learn about the lavish lifestyle of Rajasthan’s royal families and understand the rich heritage. As the evening arrives, experience the Dharohar Dance Show, showcasing the folklore of Rajasthan with seven different traditional dances. 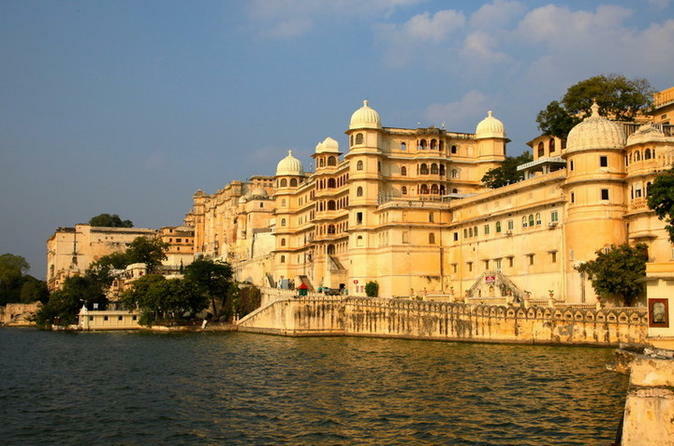 Marvel at two of Udaipur's striking architectural gems on this half-day sightseeing tour with your own private guide. 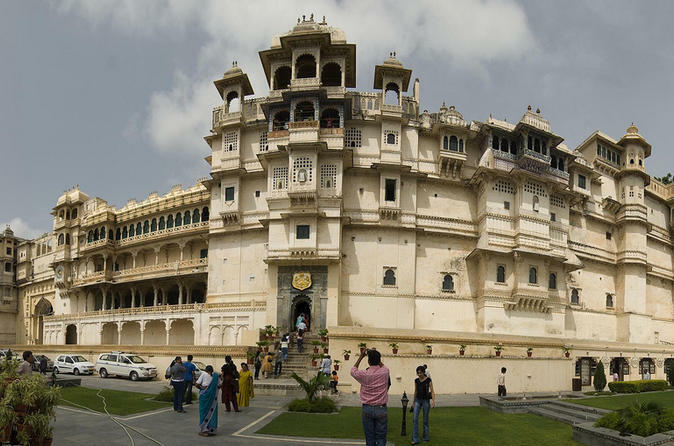 Tour vast Udaipur City Palace, with its marvelous courtyards, pavilions, gardens and sweeping views, and visit Jagdish Temple, where visitors pay their respect to Hindu gods. Hotel pickup and drop-off by air-conditioned vehicle is included. 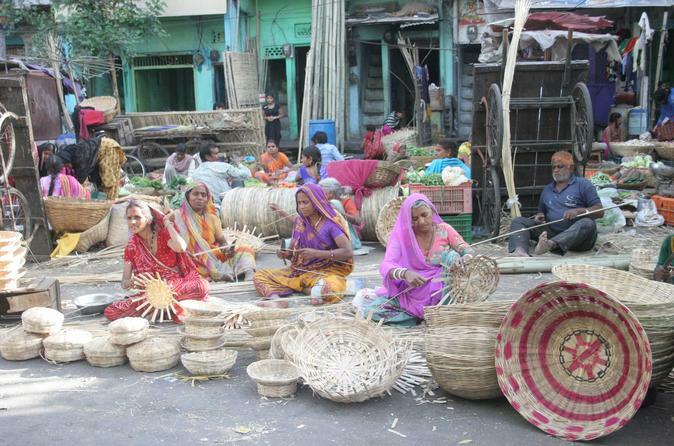 Escape to the unmapped corners of Udaipur, where artists and bazaars beckon. You’ll learn about traditional crafts, from shoemaking to metalwork, and even try your own hands at a pottery wheel. Along the way, sip some chai, snack on samosas, and shop for the best souvenirs in Udaipur. This sound and light show, The Legacy of Honor, brings to life the rich history of the House of Mewar. The show was created to spread awareness, interest and pride in the history of Mewar that stretches back 1500 years. Enjoy dinner at a local restaurant following the show. 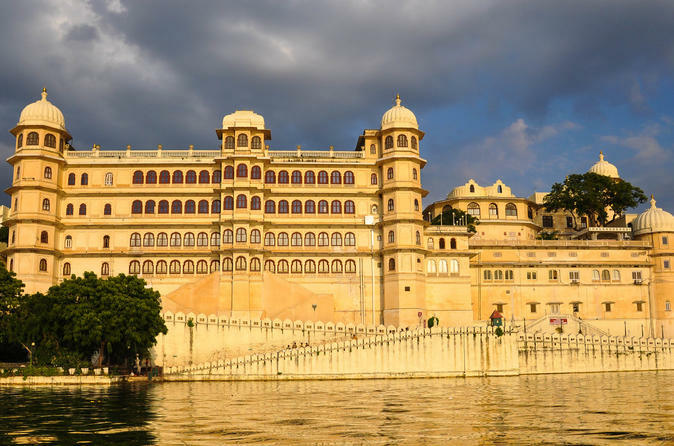 Join us for the full-day private guided tour from Udaipur! You will visit the sprawling Chittaurgarh Fort, Tower of Victory (Vijay Stambh), Tower of Fame (Kirti Stambh), Rana Kumbha Palace and Padmini Palace. Your private guide will provide expert commentary and round-trip hotel transport by air-conditioned vehicle is included. 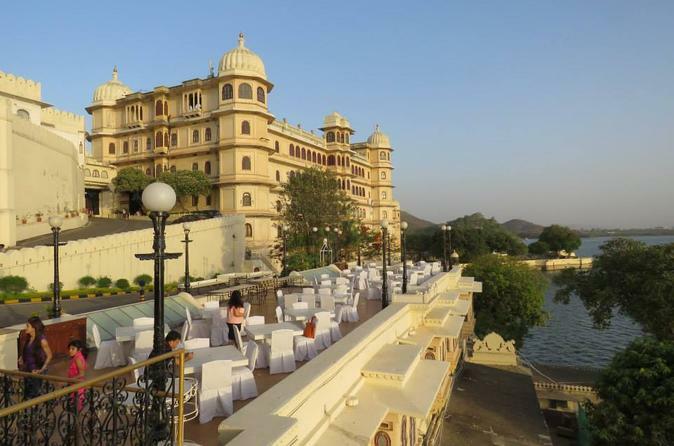 Explore Udaipur, City of lakes, on this private full day tour covering the City Palace, Jagdish Temple, Saheliyon ki Badri, Lok Kala Mandal and Pratap Smarak. Enjoy a boat ride on Lake Pichola with a visit to Jagmandir. 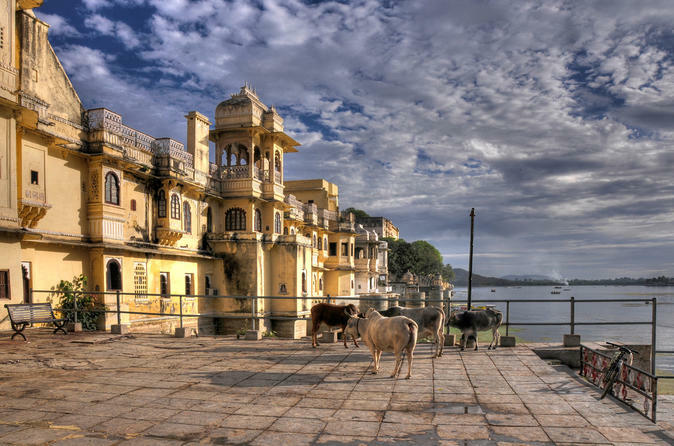 On this city tour, you'll have the chance to witness Udaipur’s ancient glory starting from the Rajput dynasties. 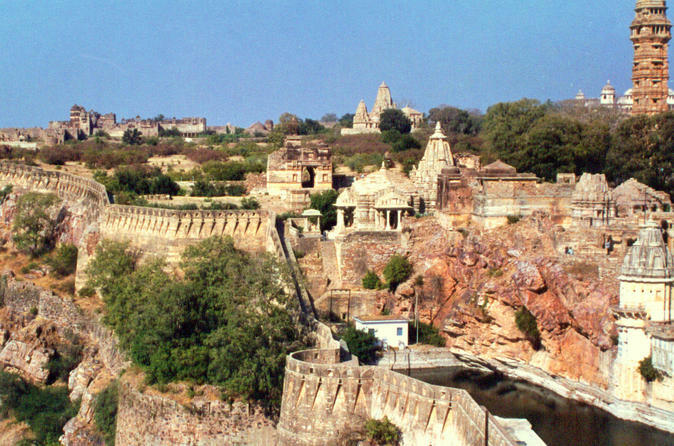 Get insight from your professional guide about the heroic history of this magnificent city while traveling to the City Palace, the famous Jagdish Temple and the Bhagore Ki Haveli Museum. You'll also learn about the lavish lifestyle of Rajasthan’s royal families and understand the rich heritage.